Did anyone else love raiding through their mothers’ closets when they were younger? I know I did, there was nothing better than the being able to see all the fabulous items that came from within! You could have a whole afternoon, dressed up, ready for any kind of adventure! To be honest, not much has changed – only it’s my two borrowing items from me! That’s what I love about Powder, it doesn’t really matter what age you are, there is something for everyone – and something for every occasion! While Annabelle is already a Brand Ambassador, Jessica was relatively new to everything – it was great to go through the latest collection with her, finding out which items we were both excited by. Come to think of it, it was only after myself working with the brand that I noticed how many compliments Annabelle gave me about each of their items - really, it’s a perfect fit that she is now part of the Powder family! Below, we have styled a few items that we all love! Some of them are worn by more than one of us but in different ways, some items may have featured in a previous blog, or are simply taken from our own wardrobes! 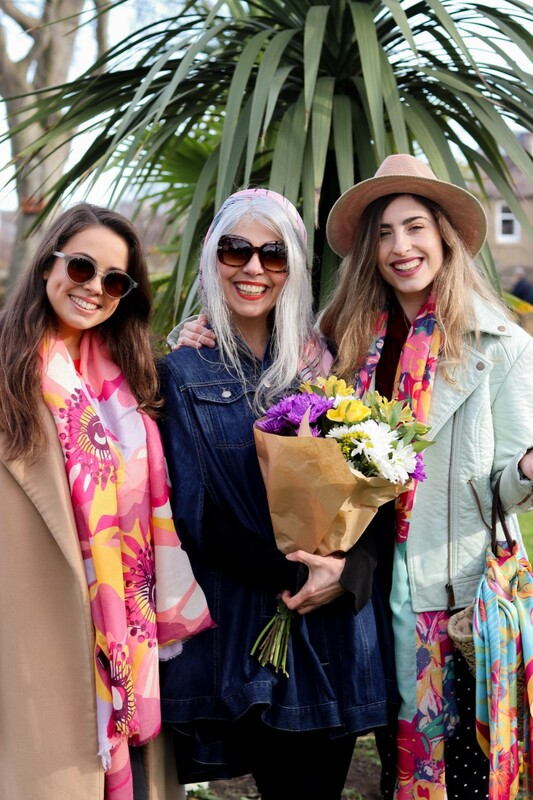 Find out how we shared our love of bright colours and prints below! 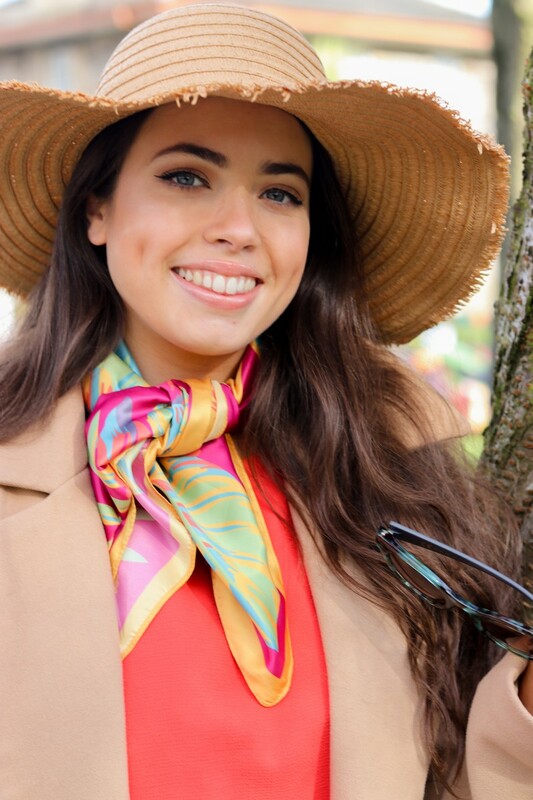 I think that it is safe to say that the first thing that you notice about this particular look is the fabulous Lana Hat – finished off beautifully with the two bright pom-poms! I love when Powder introduce these lovely little and unique touches, it makes pairing other items together so much easier! 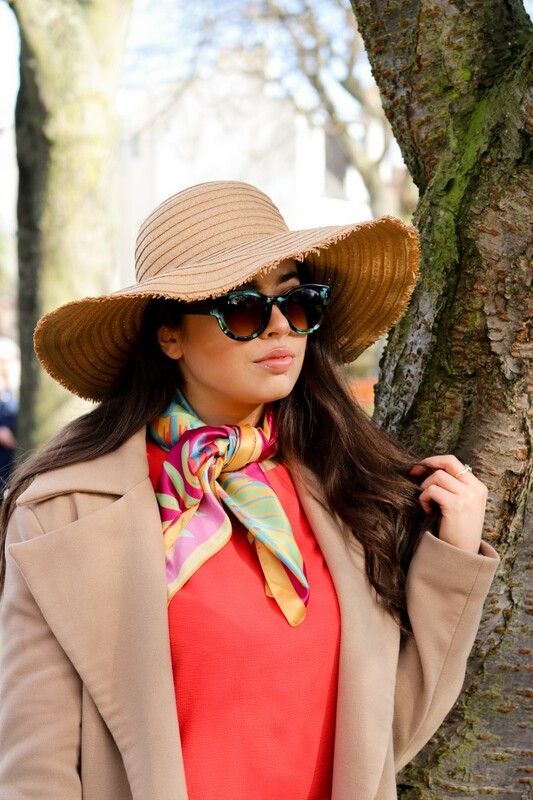 Take my Adele Sunglasses for example, as they come in three shades it could be a challenge to choose a colour, however, as I knew that the Lana Hat had those bright pink and golden touches, I knew that the Lavender shade would be ideal! The golden pom-pom matches the gold of the Adele Sunglasses, this was further heightened when I paired the Elephant Print Beach Bag with the look! The light pink and magical elephant print makes a great choice for either lounging by the beach, or simply strolling through the highstreets! It’s whatever you want it to be – a holiday bag, or something to brighten up your look and take out to lunch! 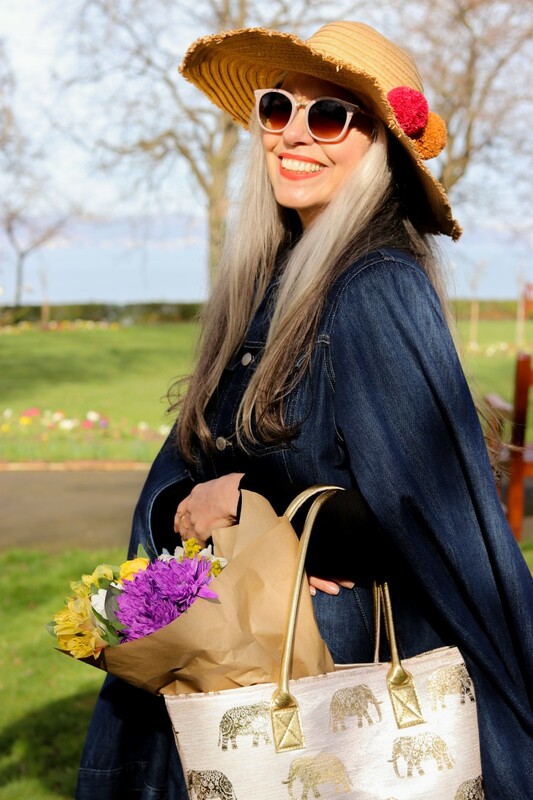 Much like my mum’s previous look, I loved how much of a statement that the Lana Hat made. While it may not be something I would wear on a daily basis, I do love the idea of wearing it while on holiday – perfect for those strolls through sunny city streets, or while relaxing by the pool or on the beach! You want something that is going to keep the sun off your face but not giving away huge tourist vibes! As always, I went for my favourite pair of Kelly Sunglasses! They’ve become such a staple to my wardrobe already, and that’s without summer properly starting yet! 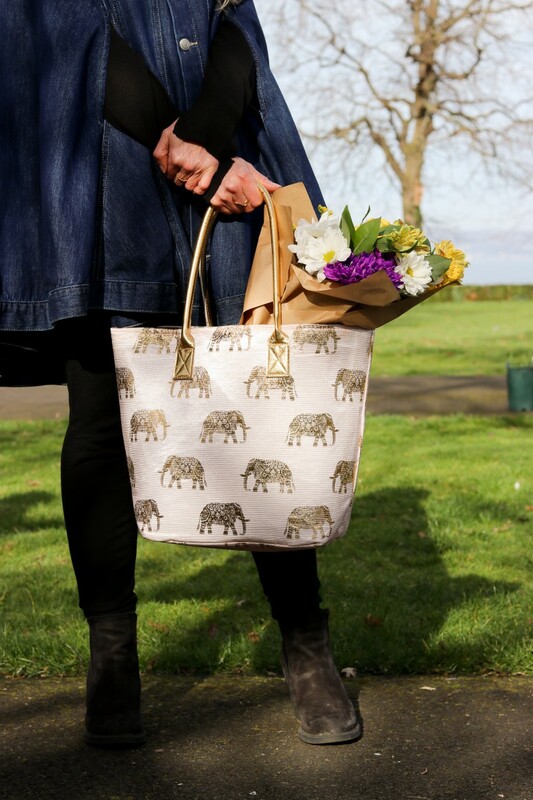 You might’ve seen in our previous blog post that we had picked out the Monkey Satin Square as a gift for Mother’s Day – that was mainly due to the fact that my mum absolutely loved the Elephant Parade Satin Square that I own! I thought that as she loved to borrow mine, that for this look I would borrow hers! 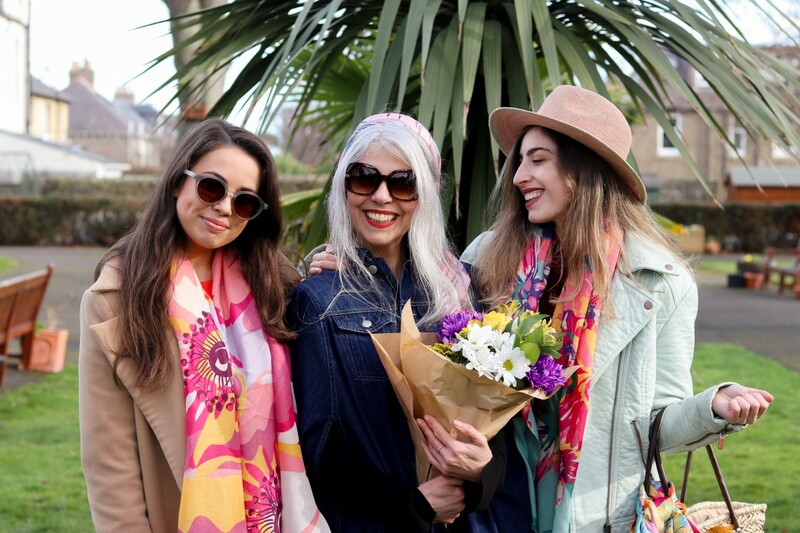 It was so lovely to be asked to contribute to this blog, as both my mum and sister are Brand Ambassadors for Powder, I’ve really enjoyed delving through their accessories and seeing what new items they have to store! 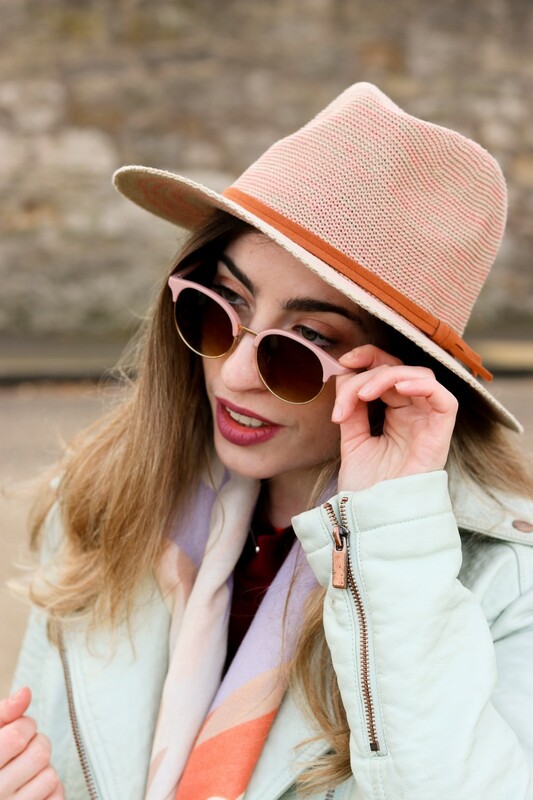 I think that pink can sometimes be a difficult colour to pull off, I do love the shade of Candy Pink that Powder do do, picking both their Natalie Hat as well as Margot Sunglasses to style along with this mint faux-leather biker jacket as well as the Daisy Printed Scarf! 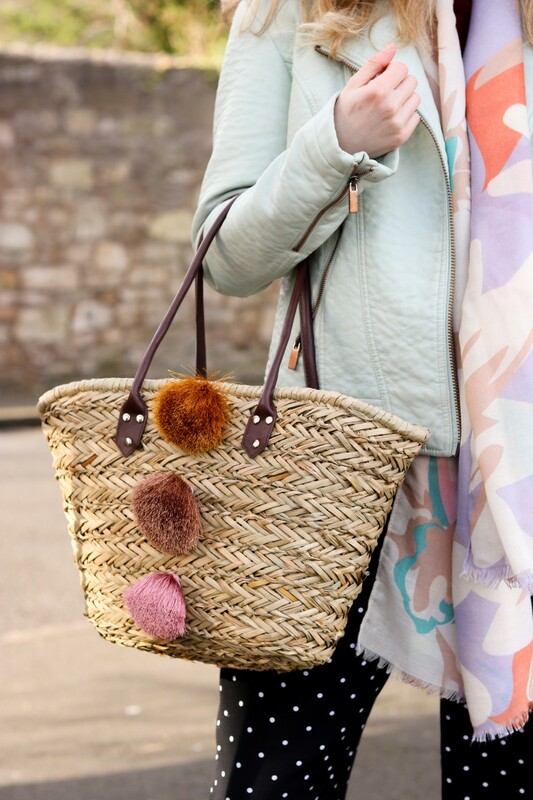 My sister also had the Bella Bag, which is made with Seagrass, and has three fun tassels for a spot of something different! I love the fact that there is so much space to put all of the necessities in, plus, the draw-string top means that nothing can overflow and fall out! Stylish and practical! It’s been fabulous to work with Powder and my two girls on this little project – any excuse to come together and have fun with fabulous accessories! We hope that you’ve enjoyed our little selection and hope that it’s inspired you and your wardrobe choices this Spring and Summer!